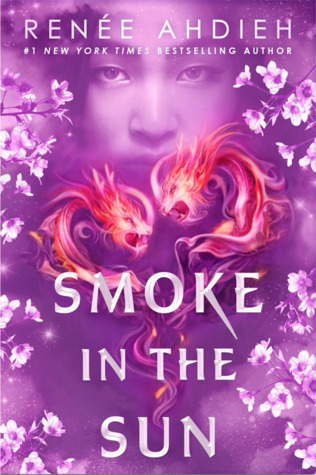 Smoke in the Sun by Renée Ahdieh. The Emperor of Wa enjoyed toying with people to see how they would react. And Mariko refused to be any man’s toy. It was time for him to forgive his past. Not forget it. Only a fool would do such things. Since I’m a reader, I’m more than allowed to change my mind about things. Like, for example, first complaining about too many books being part of a trilogy, then not enough stand-alones … and now about duologies, because I can’t bear to part with these characters. Special added bonus because this is the authors second duology and she manages to do this to me again. The first book was one of my absolute favourites last year and I fell head over heels in love with the world and its characters. So far so good. But as with the second book of her first set, Renée Ahdieh totally managed to surprise me with leading the narration in a completely different and yet totally fitting direction. I don’t actually know what I expected and now that I know how this plays out I can’t imagine any other way for this to go, but I remember that I was caught a little off guard at first. Seriously, what wonderful, magical, and empowering story. It’s definitely one I’m going to keep recommending for its drive and overall greatness. Is there a follow-up book to a story you loved that initially didn’t go in the direction you thought it would but you ended up loving it anyway? Share your experiences and teasers in the comments!